Mooney, Daly, Coughlan, Hill, Cronin, Flanagan, Herrick, Freyne, Cahill, Caulfield, Dobbs. Sub: Barry Murphy for Flanagan (34 mins). Wood, Lynch, McGuinness, Hawkins, Croly, Morgan, Osam, Russell, Doyle, Molloy, Gilzean. Subs: Parks for Molloy (54 mins), Reilly for Gilzean (65 mins), Long for Morgan (84 mins). Cork City manager, Dave Barry, made three changes in his team selection and was rewarded as they gained a measure of compensation for Friday's league championship defeat at Richmond Park by beating St Patrick's Athletic in the league cup semi-final at Turners Cross. John Caulfield, Cork's veteran centre forward, was brought into the team for his first start of the season and proved a match winner, with a glorious goal after just seven minutes. Caulfield, who came on a substitute and scored in recent matches against Finn Harps and Sligo Rovers, set up the penalty that should have given Cork a second goal after just 18 minutes after he was brought down in the penalty area by Thomas Morgan, but goalkeeper Trevor Wood kept St Patrick's in the game when he dived to his left to brilliantly turn aside Kelvin Flannagan's penalty. 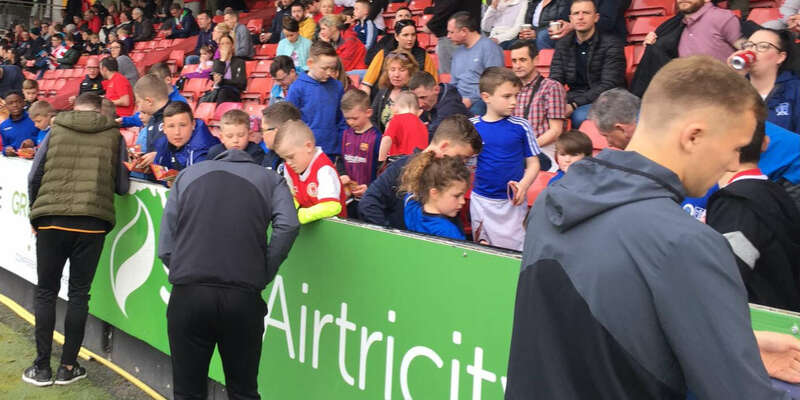 Cork, out-played for long periods of Friday's league tie in Dublin, were much more in tune with the needs of the moment on this occasion and the manager's changes proved very effective. Dave Hill, missing on Friday while he attended a family funeral in England, was a very positive force on his return at centre back, while Flanagan gave Cork a much more substantial presence in midfield until he was forced off with injury after 34 minutes. 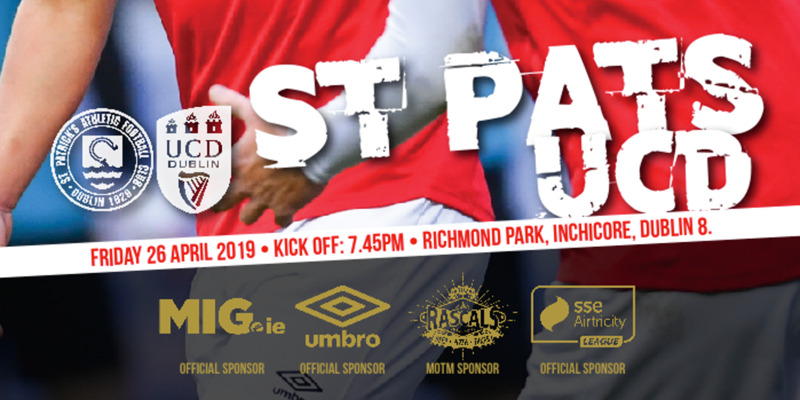 St Patrick's were unable to exert the control they enjoyed in midfield on Friday and with Eddie Gormley missing because of a thigh strain, they found it difficult to exert the same pressure on the Cork defence. 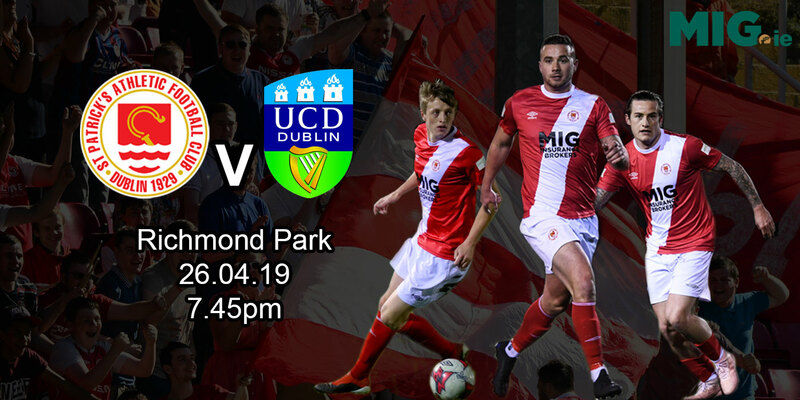 They might have been awarded a penalty, however, five minutes from full time when Paul Osam and Derek Coughlan tumbled in the penalty area as they strained to reach a throw-in from Keith Doyle. Likewise, Steve McGuinness was lucky to avoid being penalised by the referee on two occasions in his own penalty area, first, when he prevented Caulfield from reaching the rebound of Wood's penalty save, and again in the final minutes when he prevented Mark Herrick from reaching a cross from Gerald Dobbs. "We were very disappointed by our performance in Dublin and I'm delighted with the way we came back," Cork manager Dave Barry afterwards. "We have had to make changes recently in the team , but I was able to revert to the regular formation that helped us win eight league matches in a row and after getting a good beating on Friday, the team deserves great credit for producing a performance like that". St Patrick's manager, Liam Buckley, said: "I am disappointed to have lost but it is not the end of the world. "Eddie Gormley had a slight thigh strain and he did very well for us on Friday," he added. "Having said that, Cork started very well and they looked as if they wanted to win it more than we did". Cork will now play Galway United or Shamrock Rovers in the final.